Size: 72 in. x 20 in. x 1 in. 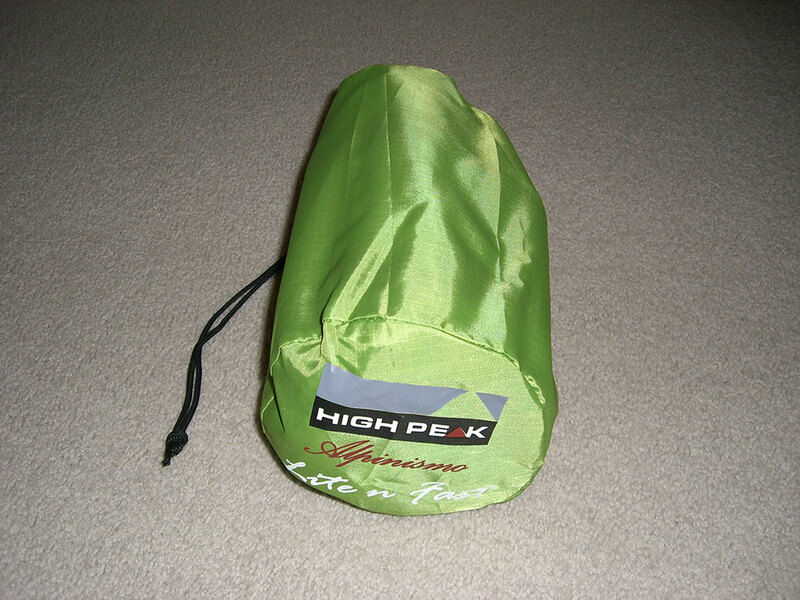 Normally I dread sleeping on ultralight sleeping pads, but the High Peak Lite n Fast surprised me. Of course it's not like sleeping on a full size spring- or foam mattress at home, but it does provide a level of comfort that any backpacker can appreciate. 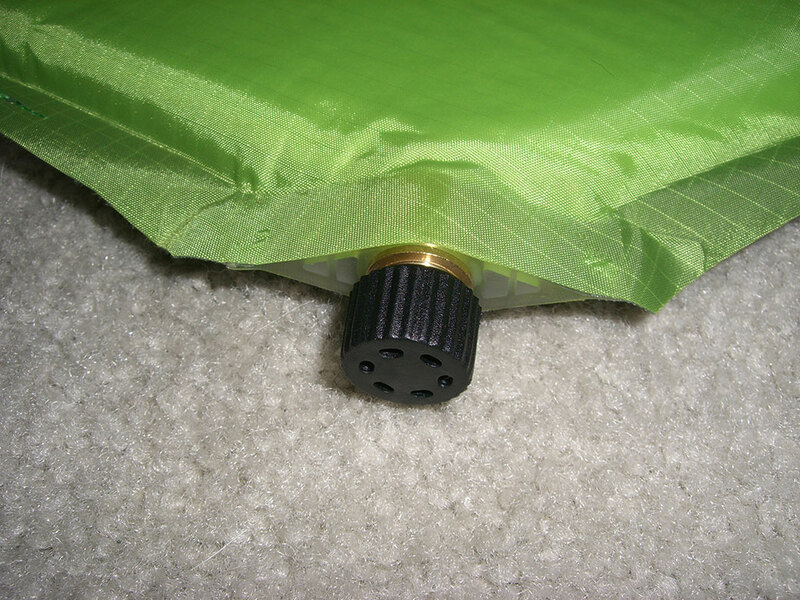 I normally open the metal valve on the Lite n Fast and let it sit in my tent for a bit while I do other tasks. This allows it to slowly self-inflate without having to add a lot of moist air from my own breath. Usually I only add one large breath when I am ready to close the valve. 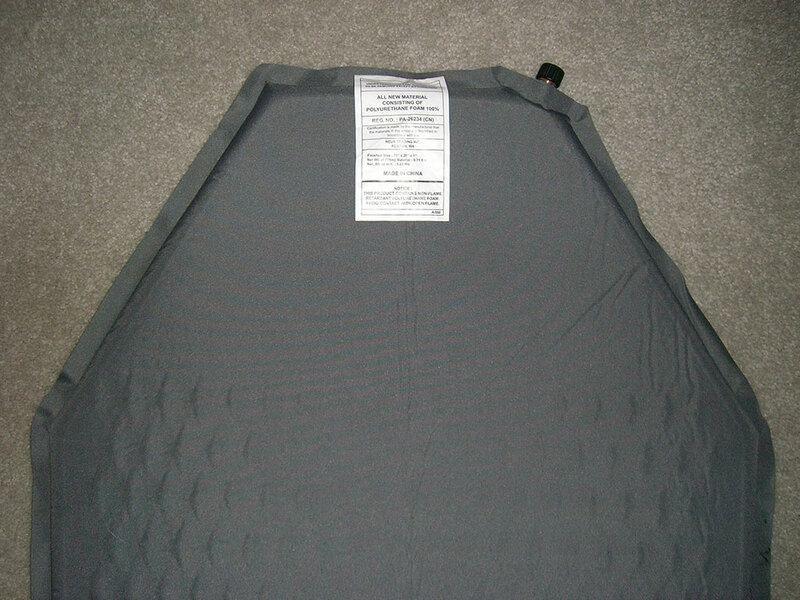 This makes the sleeping pad firm, but still provides enough give (thanks to the diamond pattern foam core) to make it comfortable. I find the shape of the High Peak Lite n Fast pad to work quite well. I don't have a problem staying on the pad or issues with my head or feet not being comfortable. 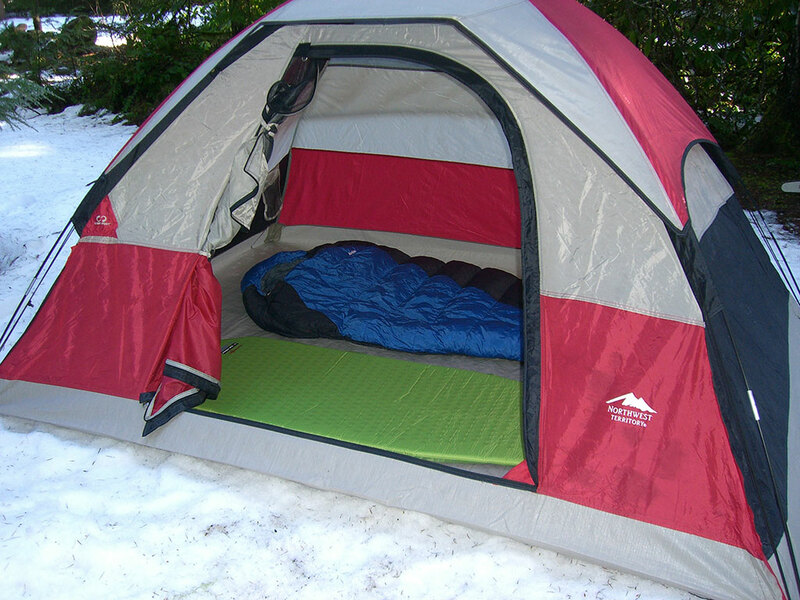 It also does a decent job insulating from cold ground when camped on top of snow. 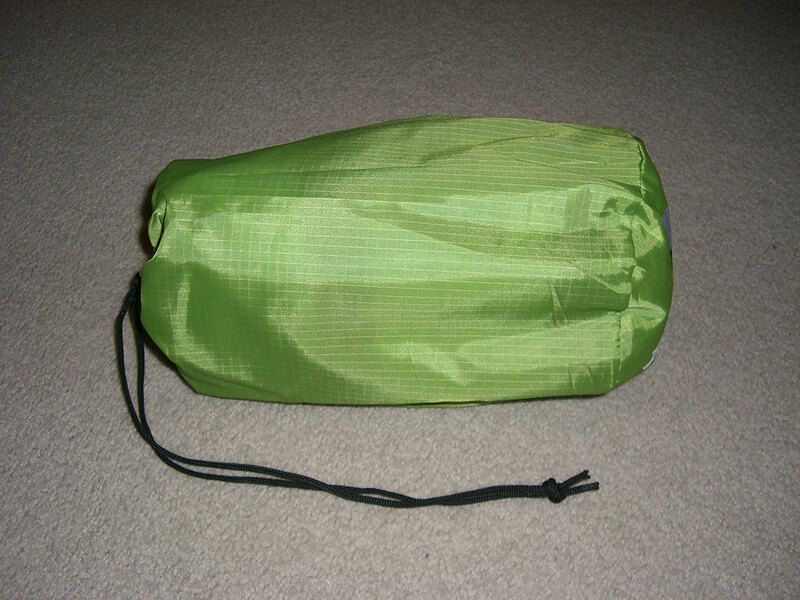 See "Winter Camping at Shellrock Creek" adventure where this mummy bag was used. 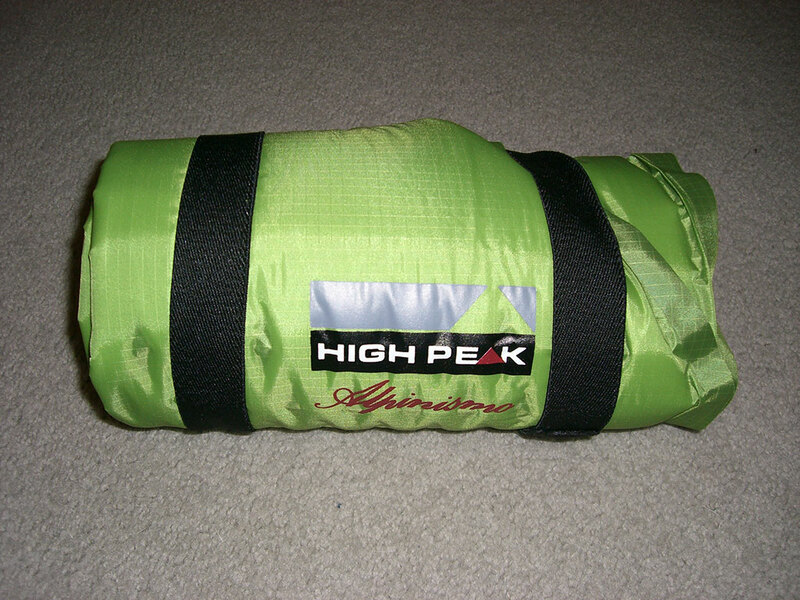 For those who don't require all the comforts of home, the High Peak Lite n Fast is a great sleeping pad. The 1 inch thick pad is just enough to provide good comfort without added weight or bulk. This pad is a great option for ultralight backpackers who don't like 3/4 length pads. 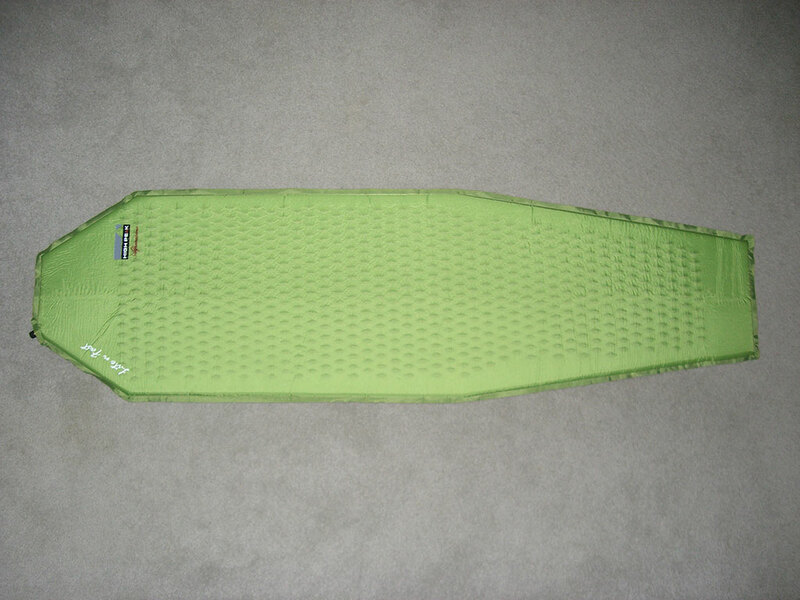 Remember to store sleeping pads uncompressed and allow them to dry completely to prolong their life. 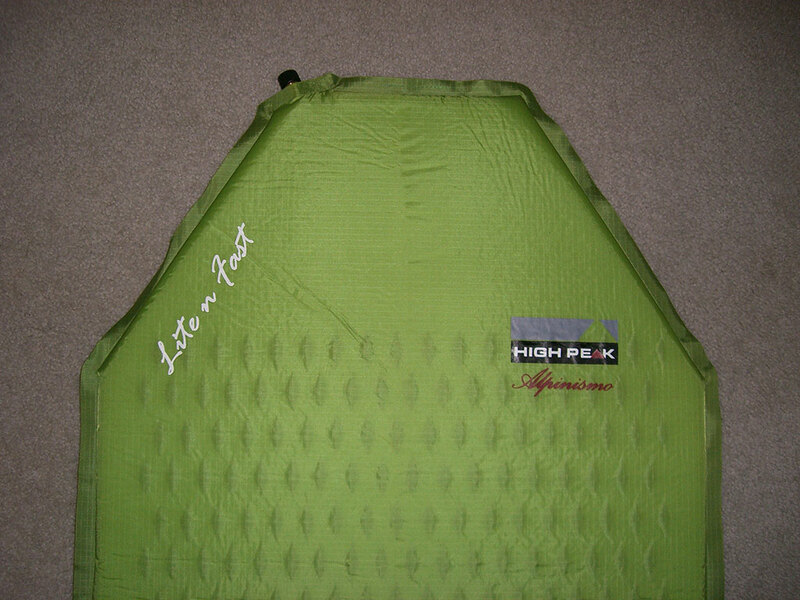 Special thanks to High Peak USA for providing the Lite n Fast inflatable pad for review.